Because of all of the moisture-stripping tasks you encounter on a daily basis, your hands are susceptible to dryness. Mary Kay Satin Hands is intended to provide deep hydration and exfoliation to help keep your hands soft and smooth. The Satin Hands system includes three components -- the Hand Softener, Satin Smoothie Hand Scrub and Hand Cream. You may buy each item separately if you don't want to use the entire system. The Satin Hands set is a three-step process. First, use the Hand Softener product, which features petrolatum to lock in moisture for smoothness. For the best results, apply it to damp hands. Use a small amount of the Satin Smoothie scrub next to remove dead skin cells. The scrub includes beads made from polyethylene and the exfoliant jojoba oil. After exfoliating, rinse off the entire scrub, then liberally apply the Hand Cream product. The petrolatum-based cream is lightweight and absorbs quickly to seal in moisture. Glycerin also helps the hands retain moisture, while vitamin E may protect against environmental damage. The Mary Kay Satin Hands set also comes in a fragrance-free version, which is best suited for sensitive skin types. 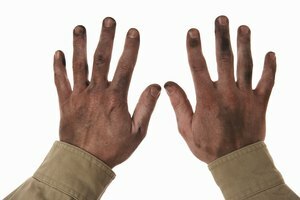 To protect your hands, wear gloves when cleaning with chemicals or to protect them from the elements. 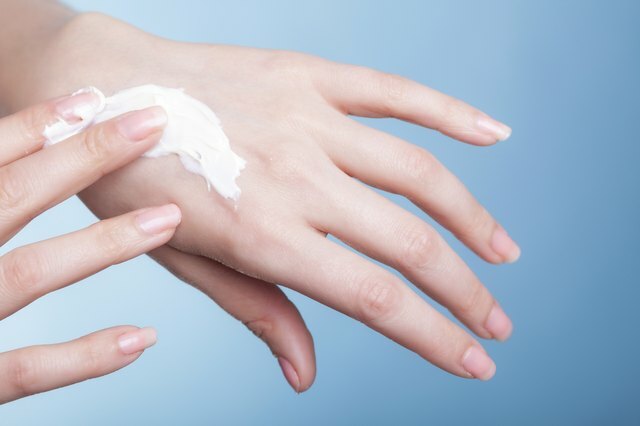 See a dermatologist if you experience extremely dry skin on your hands.